Single length irons have certainly received a lot more industry attention since Bryson DeChambeau won the 2015 NCAA Championships and the 2015 US Amateur using a set of single length irons. Only 4 other players have achieved the feat, players such as Tiger Woods, Jack Nicklaus, Phil Mickelson, and Ryan Moore. However, the single length concept is not a new one. Let’s look at a brief history of single length irons. Apparently both Bobby Jones and Moe Norman had used single length golf clubs. Bobby Jones is considered the greatest amateur player ever and many think Moe Norman is one of the best ball strikers. Eric Cook’s Iso-Vibe Golf Company in Canada began offering single length sets in North America in 1986. Perhaps the most famous time for single length irons in the past was in 1989 when Tommy Armour Golf introduced their EQL set of clubs. 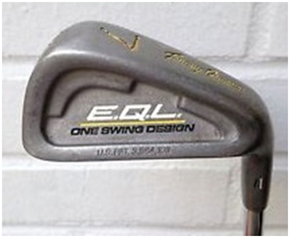 The EQL irons were built to 37” (today’s 7-iron length) and also had a matching set of woods built at 42”. They were the talk of the PGA Merchandise Show that year and sales were amazing. Unfortunately for them, for slow swinging amateurs the distances bunched between clubs, there were reported trajectory problems with the irons, and the driver went shorter distances for some people. Returns ended up being so great that it put the company financially in hot water. Since then a handful of smaller companies also began producing single length sets. Of the manufacturers currently selling single length irons, David Lake’s 1Iron Golf single length irons have been around the longest since 1997. ** Their new 2014 Pro-Line set is USGA legal, has 1 degree less bounce per club, has a stiffer shaft tip section, can be bent slightly for loft and lie angles, and have lighter head weights at 265 grams…which means they would be built to approximately 6-iron length. The company also offers single length woods from driver to 7-wood biuilt at 12 degrees (driver), 16-degrees (3-wood), 20-degrees (5-wood), and 24-degrees (7-wood). 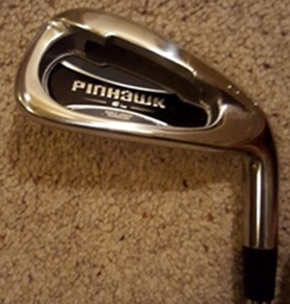 Tim Hewitt of My Ostrich Golf made the Pure Fit iMatch SL irons, which are no longer in production. Those were standard at 6-iron length, although they could be built at 7 or 8-iron length through a combination of the cavity back weight port and shaft tip weights. 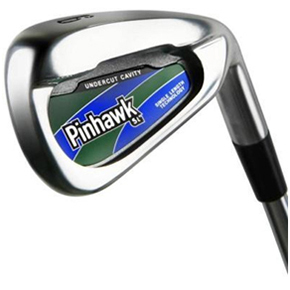 Since 2007, Value Golf has produced multiple iterations of their Pinhawk SL (Single Length) irons. To help address the distance gapping problems that had been historically seen in single length sets for regular amateurs, Value Golf tweaked their club specifications and put 5 degrees of loft gap separation between the 4 to 7-irons (versus conventional sets which have 3 or 4 degree gaps). In 2012, David Lake of 1Iron Golf partnered with Ronald Davis to come out with NOVA Hybrid Single Length Irons by GRIA Golf in Toledo, Ohio. Single Swing Golf of Washington DC jumped in to the market in late 2015. Have NO grip size options. A mid-size grip is standard. 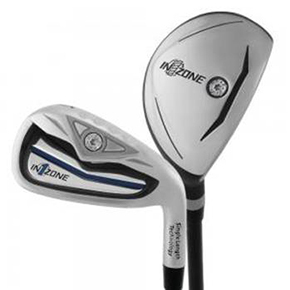 We believe the In1Zone single length irons came out in 2016. 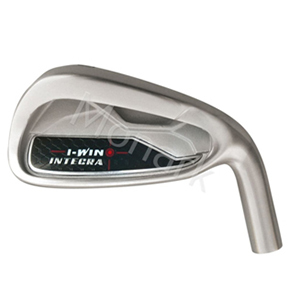 Integra of TSC Enterprise is in the single length iron market with their i-Win irons…also presumably since 2016. The Integra i-Wins have a full hybrid set option (39mm face height) made of 431 stainless steel with specs listed as per below. 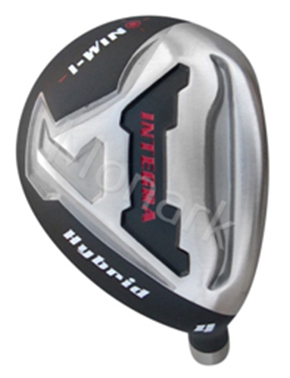 The Integra i-Wins appear to be sold as right-handed-only and heads-only to golf components wholesale companies only (example Value Golf or Monark Golf), who then assemble them. 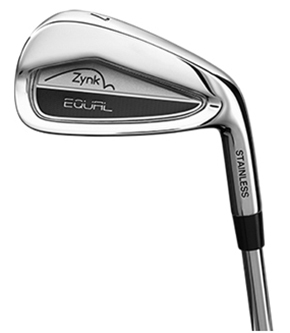 The Zynk Golf EQUAL one length irons are a 7-club set that hail from Sweden, once again we assume since 2016. Very little information is listed on the Zynk Golf website other than the lofts mentioned above and that they are built to 36.5” (8-iron length). Zynk Golf also offers 3 wedges (52°, 56°, and 60°) at a different length of 35.5” and different weight being 18 grams heavier. Cobra-Puma Golf, who Bryson signed a contract with to play Cobra golf clubs, created some single length iron prototypes for Bryson to play in 2015. In January 2017, they launched 2 sets of single length irons at the PGA Merchandise Show. 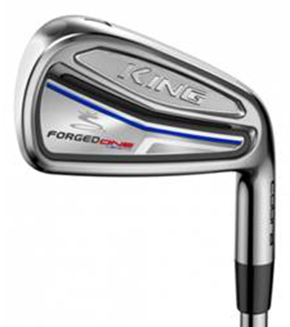 First are the Cobra KING Forged ONE Length Irons. 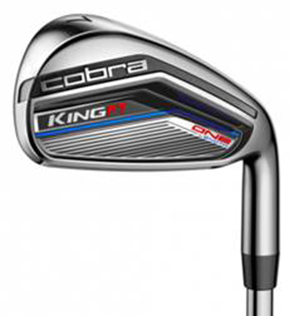 Second are the Cobra KING F7 One Length Irons. Have NO swing weight options. D0 is standard in graphite and D1 is standard in steel. Then there are the Sterling Irons® single length irons. 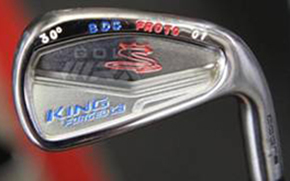 When club design icon Tom Wishon and Professional Golfer Jaacob Bowden decided in October 2013 to begin creating the Sterling Irons® single length irons, they really felt like there was a huge opportunity to improve upon what was then available in the market. First, of all. They often heard and read comments that some golfers were not willing to try single length irons simply because they didn’t like the aesthetics. As such, they wanted to create something that they felt would be more visually appealing on a broader scale. Simply put, they had to look cool. 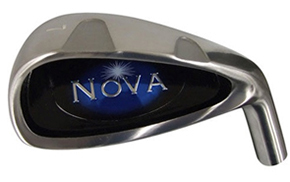 Second, at the time of initial white board sketching in 2013, only the NOVA Hybrid Irons had grooves that conformed to the USGA rules of golf. Jaacob wanted to play the Sterling Irons® in professional tournament play and he felt other professionals would as well (which is now true!). So it was imperative to have something that was USGA legal. Third, there were widespread reports with some other single length iron manufacturers of their low-lofted irons flying too low and short…and high-lofted irons flying too high and far. Furthermore, it was also not uncommon to see distance gap bunching problems. Interestingly this is still a problem with many of the recent single length iron pop-ups. Thus Tom and Jaacob’s goal was to create a set of same length irons that go the distances and trajectories that most golfers would expect for a modern day set of golf clubs. They are the only company to fully address this problem. 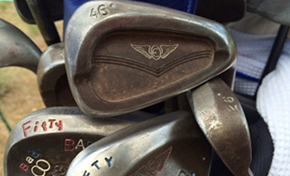 Fourth, there was a common thread amongst internet forums and comment sections that some people did not like hitting 5, 6, or 7-iron length wedges. An 8-iron length ended up being chosen as the base length for Sterling Irons® because the shaft length difference between an 8-iron and wedge is not that much. Also, shorter length golf clubs are easier to hit. By going at 8-iron length, the Sterling Irons® immediately gained a long-term ball-striking advantage over other single length iron sets. Fifth, there were limited custom fitting options. 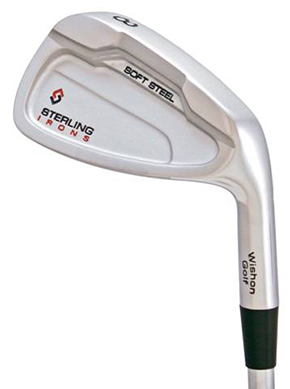 The Sterling Irons® have 8620 Carbon Steel in them, which allows for +/- 3 degrees of loft and lie angle bending options. There is a hidden weight bore in the shaft hosel of all the club heads which allows them to be built at various lengths while achieving desired swing weight and MOI options. There are also 16 different steel and graphite shaft options in a variety of flexes with additional options for multiple grip sizes. The custom fitting options of Sterling Irons® are second to none. Fortunately, Tom and Jaacob had the advantage of the Internet for research. They also had tools at their disposal like a robot for hit testing and a Trackman launch monitor. After 2.5 years of design and development, Tom and Jaacob ended up creating the most technologically advanced and highest performing single length set of irons ever made. 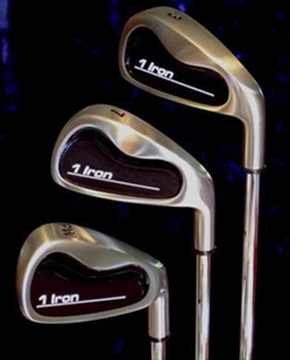 In fact, not only did they end up bringing single length iron technology forward in to the modern era, they believe the Sterling Irons® may simply be the BEST SET of any irons EVER made. Sterling Irons® are made with better materials and each shaft is lined up, each head is weighed, each loft and lie angle is checked. The spec tolerances and quality control are second to none. It’s why Sterling Irons® get such great reviews. Read what other people are saying about the them here. We hope you’ve enjoyed this brief look at the history of single length irons. You can have a look at the Sterling Irons® specifications here. 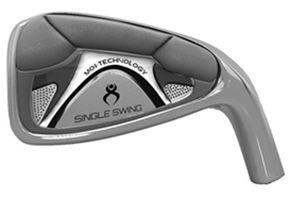 To start building your own custom set of Sterling Irons® single length irons , click here.